St-Ambroise Scotch Ale to Celebrate Robbie Burns Day! St-Ambroise Scotch Ale is dark ruby red with a tawny head which evokes the classic “wee heavies” or the full-bodied 90-shilling strong winter ales of Scotland. The St-Ambroise Scotch Ale was honored at the 2011 Canadian Brewing Awards with a gold medal and in 2012 with a bronze medal. Arriving just in time for Robbie Burns day, a celebration of the famous Scottish poet’s birthday, today, Friday January 25th! 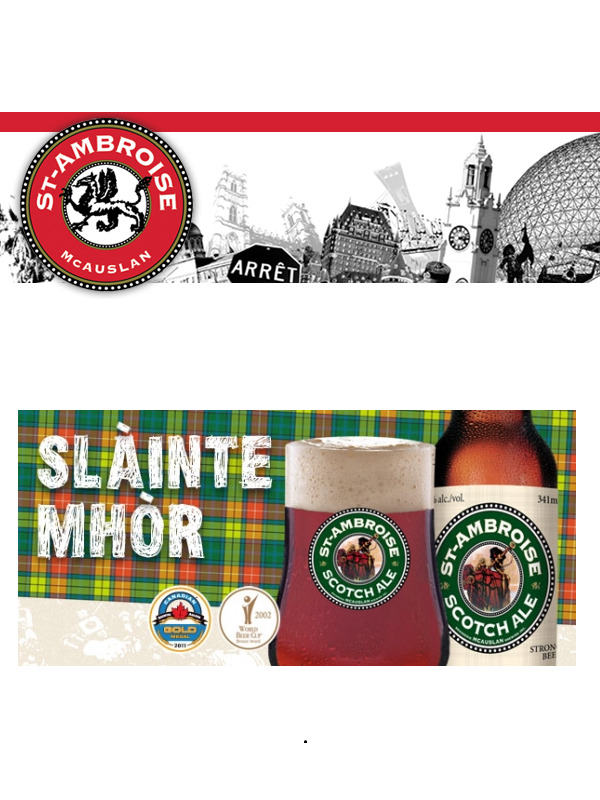 Savoring a St-Ambroise Scotch Ale, is celebrating 400 years of Scottish heritage in Canada.